Cool and clear. 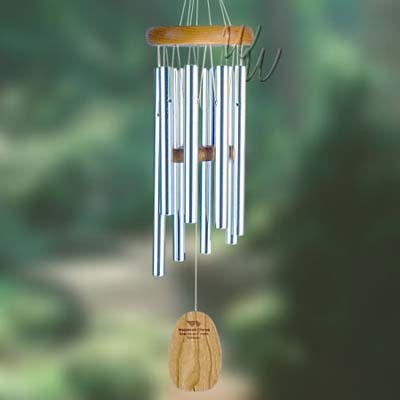 This soprano chime has a beautiful tone. 18 Inch Cherry wood, eight silver anodized aluminum tubes.